By the 1700s, the clergy were increasingly deferring to physicians' expertise in treating Os and Cs. Physicians did their best to help OCD sufferers but they simply did not have many tools available to them. They used the tools they had. 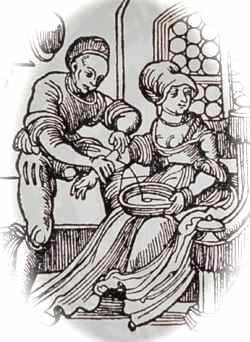 Hannah Allen described how her doctor used bloodletting (also called phlebotomy) to treat her obsessive "bad" thoughts.1 This widely used technique involved draining blood from the patient in an effort to adjust the bodily "humors." The shift to a primarily medical understanding of Os and Cs had consequences for OCD sufferers. The most dramatic consequence was the increasing institutionalization of OCD sufferers in "lunatic asylums." 1Hannah Allen (1683). The medical profession considered individuals with Os and Cs to be suffering from "melancholy." To cure this condition, bloodletting was used to adjust the body's "humors." Today, melancholy means sad or "blue," but back then it had a different meaning. 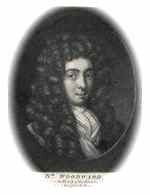 7John Woodward (1716); also see Felix Platter (1602). 9Henri Le Grand du Saulle (1875). 10More on whether the content of Os and Cs has changed over the centuries.